Durban, 10 January 2019. 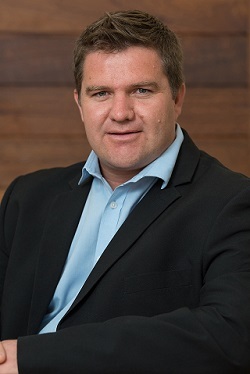 According to Lourens Coetzee of Marriott Asset Management, maintaining your lifestyle in later years should be the core objective of your investment plan. However, to achieve this objective, you are often required to adjust your lifestyle today so that you are not forced to do so in the future. Coetzee says that one of the most tax efficient means of saving outside of an employer pension fund is through a retirement annuity. Not only is the income earned exempt from all forms of tax, but the contributions made are tax deductible, subject to certain limits. “While the income earned from these savings is fully taxable when being drawn in latter years, the benefits of tax-free capital accumulation from the re-investment of income, coupled with a likely lower marginal tax rate on retirement, makes this a highly tax efficient savings vehicle,” he said. Contributions to a retirement annuity are flexible, and it is therefore possible to contribute monthly or to invest an annual lump sum before the tax year end in February. Consequently, it is well suited to self-employed individuals or commission earners who do not belong to a company pension or provident fund or have a variable monthly income. But how does an investor ensure their investments produce this dependable income? According to Coetzee, there are local and international companies that will continue to produce both reliable and growing income regardless of global slowdowns, exchange rate volatility and varying interest rates. “By including these companies in your retirement annuity, you can determine how much income you will earn from those investments in the future. Informed decisions can then be made as to whether you are saving enough,” he said. Coetzee also stresses that chasing the best performing unit trust and superior returns do not necessarily help you to achieve your objectives as this brings more volatility and less reliable to your outcome. “This could not only leave you with an income gap in the future, but also cause much financial anxiety along the way,” he said. To assist investors in this planning process, Marriott have developed a unique online investment planning tool. When transferring an investment into, or making a new investment in the Marriott Retirement Annuity, this tool will be able to demonstrate not only the income currently generated by that investment, but will also reflect a reasonable expectation of the monthly income generated and the capital value at the investor’s chosen future retirement date.